Campaign tools matter. Whether you're working on a political campaign, a ballot measure, or running an advocacy campaign for your nonprofit, we can all use a little help now and again. As campaign people, we know it can be tough to sort through quality political and advocacy tools to make life easier for your team. 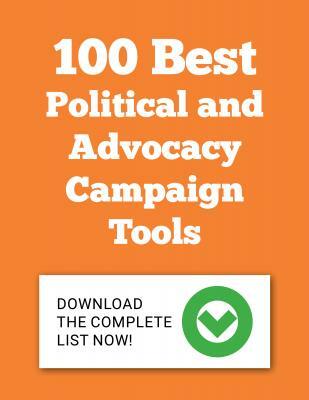 That's why we compiled a list of 100+ political and advocacy campaign tools to help streamline your campaign and make your to-do list a bit more manageable. We've vetted countless free, paid, and freemium campaign tools to help you solve your campaign problems. Plus, we've included "Joe's Picks," a collection of our very favorite campaign and advocacy tools. A sortable searchable list of the best campaign tools can be found here.